"I selected BooksOnDemand.com because it is perfect for my company, KLR Publishing’s needs. I had a large print company that I was originally working with but their prices were too high, their customer service needed improvement, and I could only place large orders with them. I believed that BooksOnDemand.com was best for achieving the desired results for KLR Publishing based on my initial contact with BooksOnDemand.com’s representatives. I was having some manuscript format problems and they advised me on the best solution and solved the problem promptly. My printing needs were met to my satisfaction and delivery of the product was reliable and timely. BooksOnDemand.com helped make needed changes to my book covers. They also helped convert the manuscript from a non-PDF format to PDF. The result of working with BooksOnDemand.com is that I can plan book ordering and distribution without concern of delivery of books from BooksOnDemand.com. I am a satisfied client. After having worked with ..."
Whether your conference material is completely digital, or a combination of print and digital, The Printing House can produce the materials you need, delivered when and where you need them. 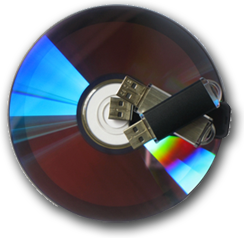 We will format materials onto USB flash drives, CDs, DVDs, or upload data to the Cloud at a hosting site you identify. While we are not a hosting service, we can work closely with your conference site or website host to ensure digital media has the look and flow your professional conference expects. Our customer service process guides you through digital production with a checklist of important items: your finished product will shine, with no format issues, gaps or overlaps in your conference material! We accept files from your conference management group or collection host. We review files for completeness, then coordinate the content to fit the outline you've requested. If questions arise as we format your materials, we work with your conference organizers to resolve any issues of fit or format. Then we finalize the digital files,complete with a navigation, table of contents, and copyright information. Digital layouts will be mobile responsive, giving members quality digital experience from a desktop, laptop, or mobile device. Your brand will be clear in every format. The Printing House can maintain your conference materials and organizational directories in digital format, so you can update them - why start over? You can keep your digital and printable versions up to date for monthly, quarterly, or annual conferences-- whether in meetings or virtual conferencing.